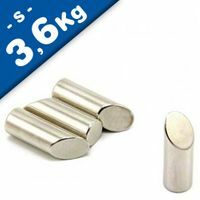 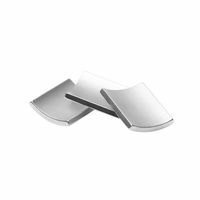 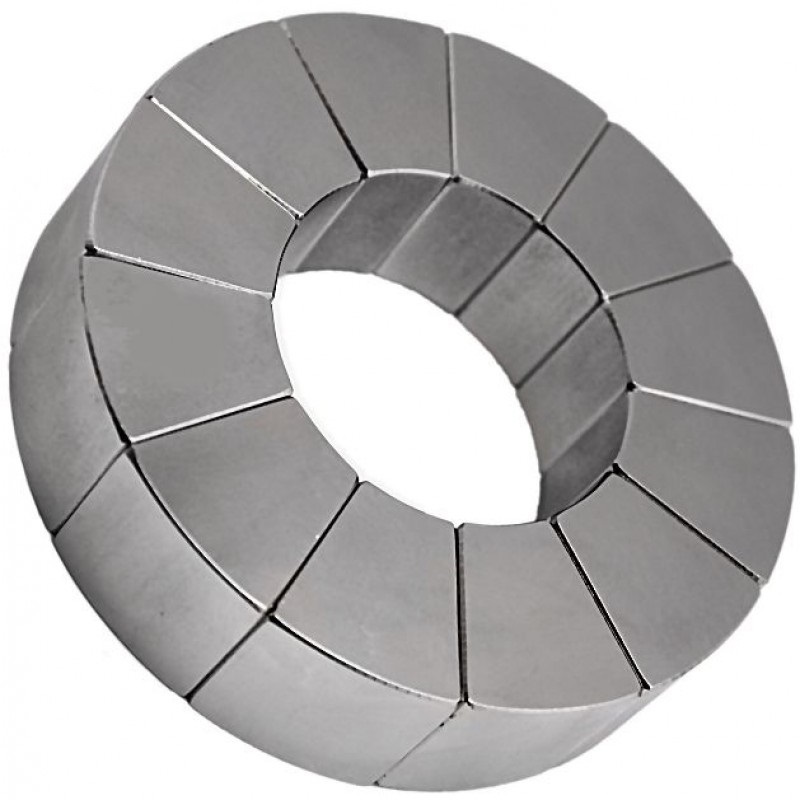 Neodymium arc magnets are also called Arc segment magnets, which are made by wire cutting of the block magnets. 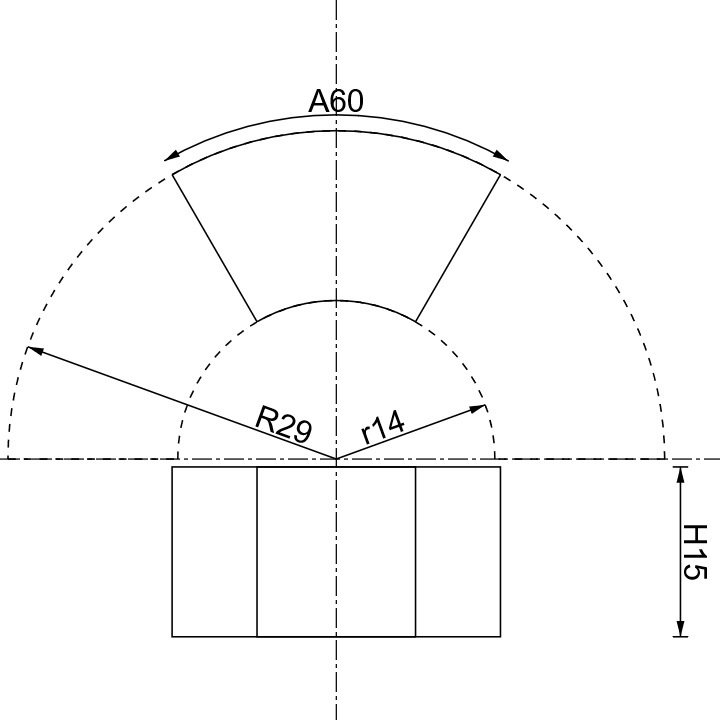 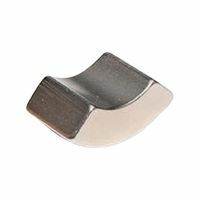 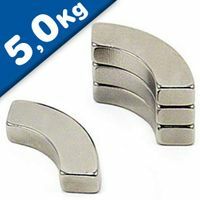 This type of segment magnets are commonly used in DC motors, both for rotors and stators.and other motors. 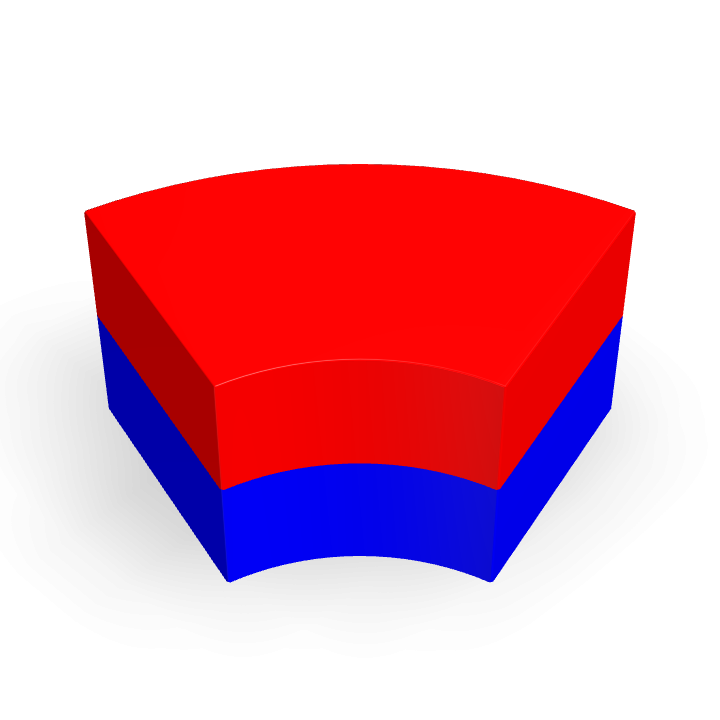 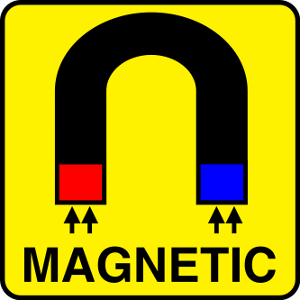 The magnets arc length is 60 degrees. 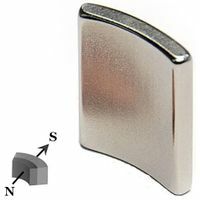 These Magnets are plated with 3 layers of protective coatings - Nickel + Copper + Nickel (Ni-Cu-Ni). 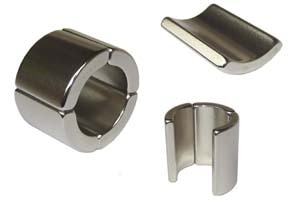 The highest grade of these products are N52, N48M, N44H, N42SH, N38UH and N35EH etc.